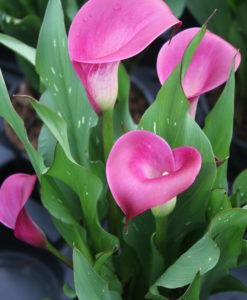 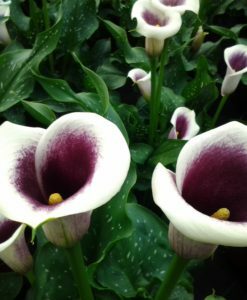 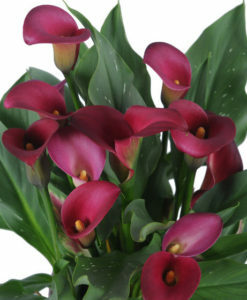 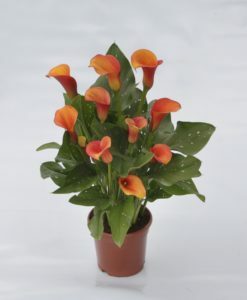 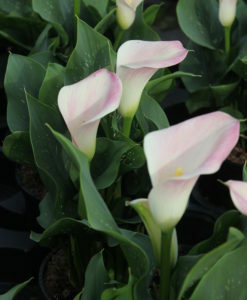 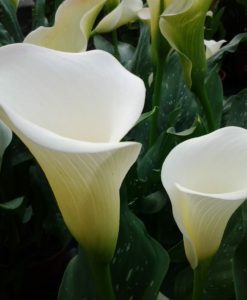 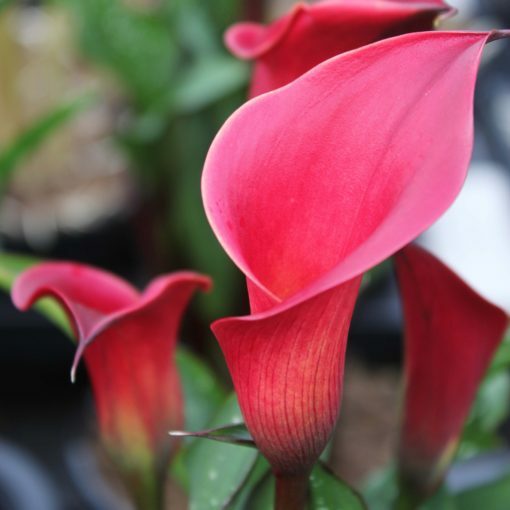 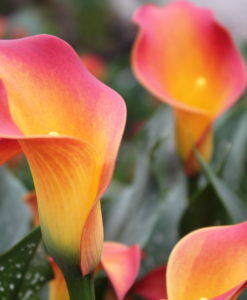 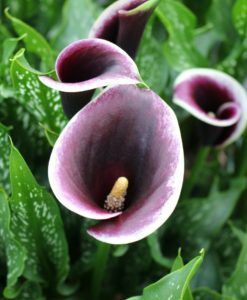 Zantedeschia Red Charm is a new bright red colored variety with a dark red/black stem. 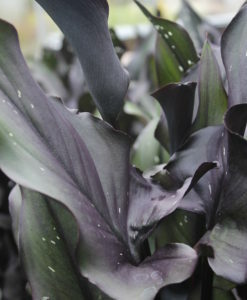 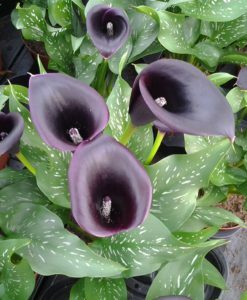 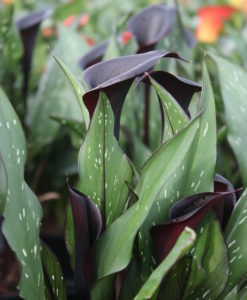 It grows very upright with narrow dark green leaves which have a dark red almost black edge. 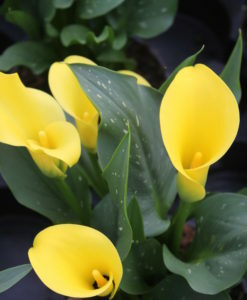 We first exhibited it at Chelsea in 2015 and we now have a limited number of bulbs available.